What's so special about salt? 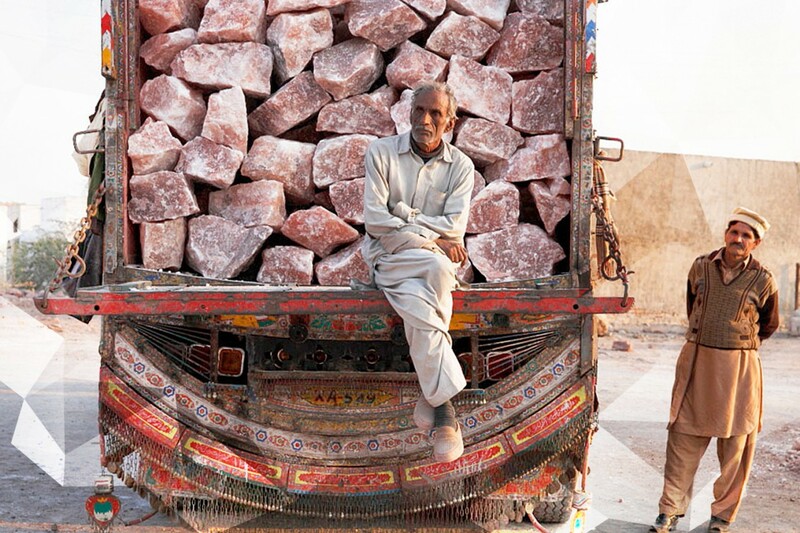 Himalayan Salt is said to be one of the purest forms of salt found on the planet. Roughly 200 million years ago, the salt deposits were overlaid with lava creating an untouched and pristine environment from pollution. Thereby, preserving the purity of the salt. Today these pink salts have been known to have incredible health benefits, including: enhancing the immune system, increased energy & alertness, increased focus and concentration, reduced susceptibility to colds and flu, increased lung capacity, to name a few. Salt Therapy has also been known to aid in the natural healing properties of our bodies, treating a variety of skin conditions. Halo is the Greek word for salt, so simply put, it’s just salt-therapy. Halotherapy, also known as dry Salt Therapy, is a holistic approach that mimics the microclimate of a real Himalayan Salt Cave. Dry salt air is dispersed into the enclosed environment through a unique process generated by a halogenerator. This treatment is a safe and effective way of using salt’s natural antibacterial, anti-inflammatory and super absorbent properties to provide relief for respiratory and skin conditions. 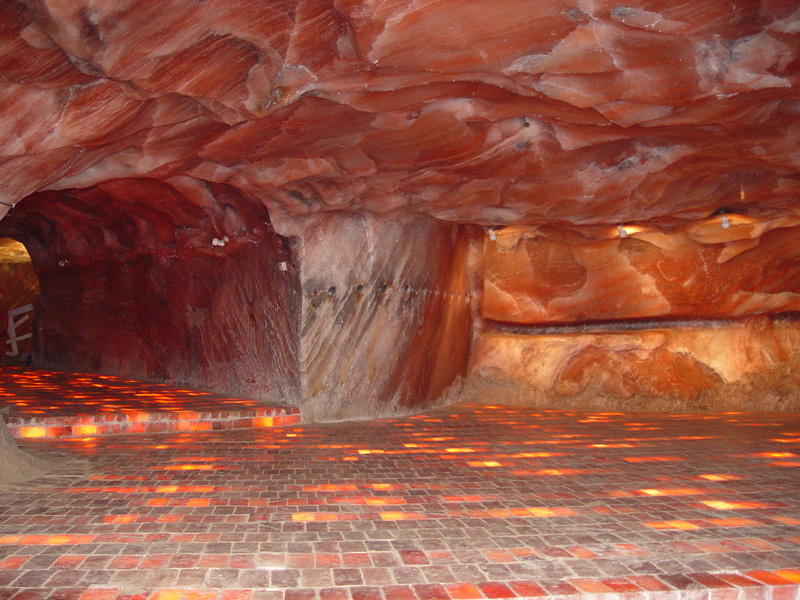 The pure, dry Himalayan salt is heated and ground up in a machine called a halogenerator. When you heat salt, it becomes super dry and kinetically more active. The heated/dried, pure salt is then crushed into micro-sized particles and dispersed into the air in an enclosed environment. When those micro-particles are inhaled into the respiratory system, it absorbs and removes allergens, bacteria, toxins, and foreign substances that are present in the lungs and through the respiratory tract. It also works to remove and eliminate mucus build up. The salt also reduces any inflammation and can open and expand airway passages to make breathing easier and more clear. The Salt can also provide amazing skin rejuvenating benefits when the epidermis layer of skin is exposed during the halotherapy treatment. Healthy lungs and a clean respiratory system are essential for vitality, energy and longevity. An average adult takes about 12-15 breaths per minute and little children about 20-30 breaths per minute. The main function of the lungs is to deliver oxygen to our red blood cells and get rid of the CO2 from the body. In addition, our respiratory tract acts as a very important defense mechanism by filtering the air from pollutants and foreign substances, it regulates the pH level of blood by managing the levels of CO2, and it also helps control blood pressure by converting the chemical in the blood called angiotensin I into angiotensin II. Scientific research has found that inhaled dry salt particles have bactericide, mucokinetic, hydrophilic and anti-inflammatory properties, which may help to reduce inflammation in the entire respiratory tract and widen the airway passages. Dry salt particles are also known to accelerate the transportation of mucus, the elimination of residual tar and foreign allergens. A clean respiratory system naturally results in higher oxygen intake, increased energy and an improved immune system. Dry salt is super absorbent and acts like a sponge attracting foreign substances along its path through the respiratory tract. The dry salt can be imagined to behave like a toothbrush that cleans through the respiratory system removing build-up of foreign elements that cause various respiratory ailments and conditions. Clean lungs are healthy lungs. Start Halotherapy today! Our skin is a very complex and intelligent organ that has may important functions. It is the largest organ, and like the respiratory system, it has a major role to protect and defend the body against bacteria, viruses and other microbes. 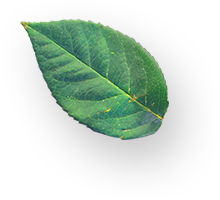 it also excretes wastes, regulates temperature and prevents dehydration by controlling the level of perspiration. It houses sensory receptors that detect temperature and prevents dehydration by controlling the level of perspiration. It houses sensory receptors that detect pain, sensation and pressure. Please arrive a minimum of fifteen minutes prior to your halotherapy session (first time guests with multiple spa appointments should arrive thirty minutes early). Late guests will not be admitted after the session commences. With the exception of emergent situations, we ask that you do not exit the room once the session begins. Opening the door will result in the salt particles escaping the room, decreasing the effectiveness of the session. Halotherapy sessions are $35 per 45 minute session. The salt room is a deeply relaxing, holistic experience. Please remain quiet during the session out of respect for other guests. 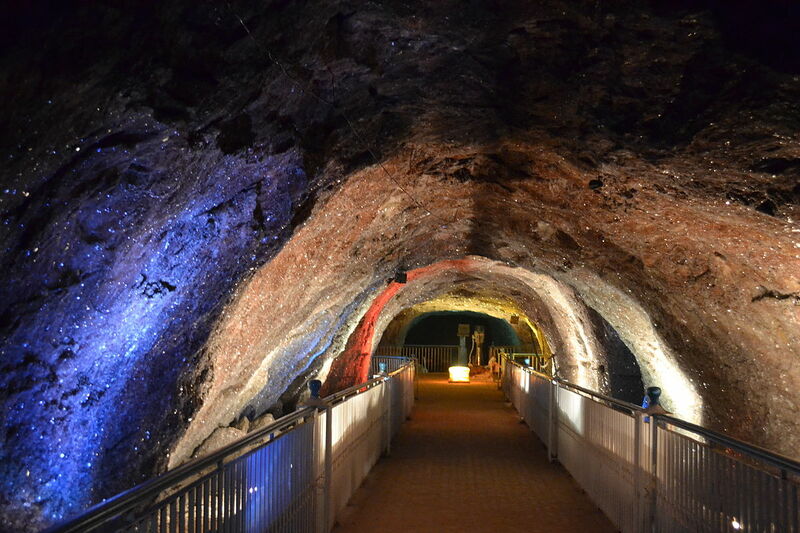 Please note, our salt room is located in the spa area of PürLux. We ask that guests are quiet while walking through the hall as not to disturb guests who are receiving spa services in the treatment rooms. With the exception of emergent situations, we ask that you do not exit the room once the session begins. Opening the door will result in the salt particles escaping the room, decreasing the effectiveness of the session. To maintain a sanitary environment for all and to preserve the quality of the salt, please do not touch or consume the salt on the floor or walls. No food or drinks are allowed in the salt room. Protective foot coverings will be provided, and must be worn at all times - no exceptions. You must wear clean, smoke free clothing. Wear what you are comfortable in, many guests will be in robes due to spa services before or after the halotherapy session. We do not allow personal robes or towels from home to be utilized anywhere in our facility. Guests who wish to have robe and towel service should schedule a spa service (massage, facial, body treatment), or check to see if amenities passes are available on the day of your appointment. A limited number of amenities passes are available to purchase each day. The amenities pass includes: a halotherapy session, access to steam rooms and saunas, our tranquility and garden lounges, beverage and snacks, and robe and towel service. These limited passes on based on availability and occupancy for the day, please inquire with the spa coordinator to secure this reservation. Our special introductory rate for the amenities pass is just $50 now through August 1st. Is there a time when Halotherapy should be avoided? While there are no known side effects of halotherapy, some clients may experience a "scratchy/itchy" throat or a tickle in the sinus cavity. Clients with extremely sensitive skin car experience a minor skin irritation upon the first visit, but this will go away rather quickly in most occasions and is considered extremely rare. For those clients who experience a slight cough, this is a generally a sign that the halotherapy is effectively working as it is loosening and releasing mucous buildup. How many appointments are necessary and what can I expect? While a one-time visit can be beneficial for stress-relief and relaxation, halotherapy offers the best results when practiced regularly. The benefits are accumulative with consistency and frequency. Clients with chronic issues will benefit greatly from visiting the salt room 3-4 times per week. Those just looking to incorporate halotherapy into a regular wellness routine would benefit from a weekly session. Halotherapy is a safe practice to utilize on a daily basis if desired by the client. What will be experienced when sitting in the salt room? Our salt room is designed so that stress-relief and relaxation can occur instantly in a soothing, peaceful environment. Lounge in our zero gravity recliners and cover up with a blanket as tranquil music fills the room to create an ambient environment. Clients may read by the glow of the pink himalyan salt, listen to music, and even nap during the halotherapy session. What results will be experienced immediately? Clients with any form of respiratory ailment/bronchial issues should see amazing results in a short period of time: easier breathing, more energy, & better quality of life. While no medical claims are being made about Halotherapy; clients with respiratory issues have experienced increased lung function and vast improvement. Clients with any form of severe skin conditions such as psoriasis, eczema, or acne should also see quick improvements in the health of their skin.